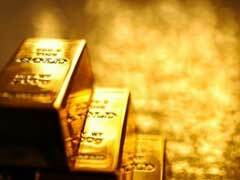 Gold Market Analysis – Will Gold Hit New Highs Soon or Not? According to seekinGold, gold prices were up to $1650 an ounce at the end of 2011 and the gold price prediction for 2012 indicated a trend upward to $2000 an ounce. Gold market analysis however emphasizes that gold bullion was under selling during the first part of 2012 due in part to the failure of a German bond auction which forced investors to re-look at US dollars versus gold investments. A further indictor of the gold market downturn is the present European sovereign debt crisis. European countries tend to go liquid during economic hardship and sell off gold in favor of currencies. Pundits are watching the economic crisis in Europe and will trend gold values according to need. Further gold market analysis indicates that gold fluctuations are reflected in simple economics. Gold investment research specifies that private equity funds, hedge funds and mutual funds as well as insurance companies may funnel a portion of the available cash into gold, which they have done in the past. This will result in individual investors turning to gold bullion dealers, EFTs, coins and equities for investment options. However, S&P 500 companies remain somewhat skittish about gold reserves and continue investing in short term investments and cash. Currently the Kitco gold price for August distribution is $1569.30 per ounce on the New York Mercantile Exchange Comex division. This is down $10.50 for July 11 and slightly down from the FOC minutes that had no definitive policy input on gold trading. Further gold market analysis indicates that the current economic markets remains static for gold pricing because of the weaker Indian jewelry demand and the European debt crisis still looming. Gold price expectations have been reduced from $1700 an ounce to $1600 an ounce with possible easing of pricing after the 2012 election. Experts are predicting that gold may again raise to $1700 an ounce in 2013. Further market research at Kitco stresses that structural reforms, debt reductions, no central bank stimulus, and a strong U.S dollar can lead to gold prices streaming upward to $2000 in the next twelve months. Gold market analysis proves, however, that gold is still one of the least volatile investments. It would be highly advisable to purchase shares in a gold mining company, open up a gold investment account to buy and sell gold and to purchase pure gold cons. You can also purchase gold bars and hold them in an investment bank as a hedge against inflation and market downturn.